This delightful resort overlooks the sea and the garden. The resort has a private sandy beach and gardens landscaped. 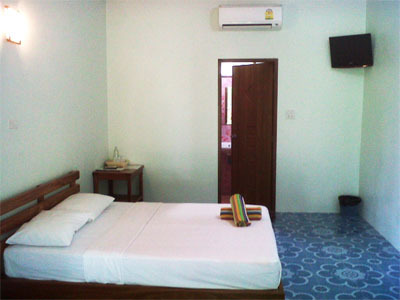 Under the green roof, our resort comprises with the large single bed or twin bed available for your choice with Air conditioned, furniture, dressing table. 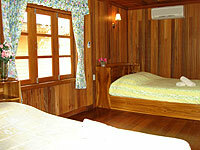 The wooden designed of each bungalow make you feel comfortable and warm like you’re at home. 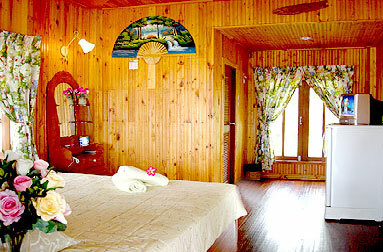 The resort benefits on its private balcony to enjoy the garden view and sea view either morning or evening time.